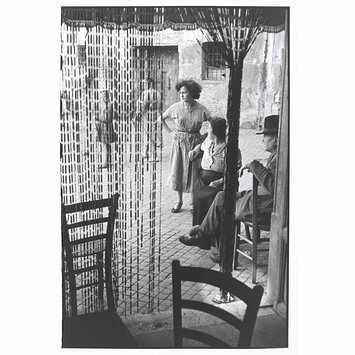 Black and white photograph taken from inside a cafe, with the chairs and a beaded curtain in the foreground. 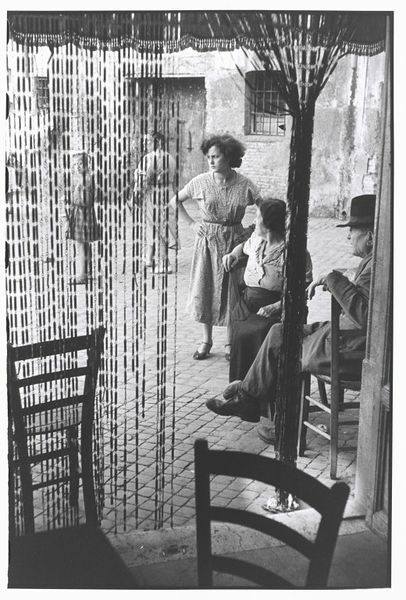 In the middle ground a seated elderly couple converse with a younger standing woman, her hands placed on her hips. These figures are in a court yard, framed by another building. In the background a woman and child have their backs to the camera, the young girl looks over her shoulder towards the viewer. 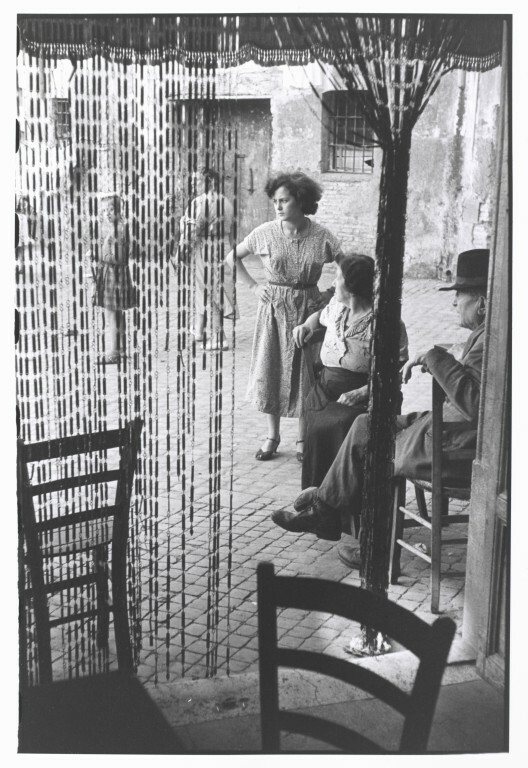 Black and white photograph by Henri Cartier-Bresson depicting part of a cafe in Rome, looking out towards customers on the terrasse through a beaded curtain. Italy, 1953.